In this module, students will use AUTODESK 123D DESIGN, to create architectural, artistic, functional and practical designs. Student will learn how to use the software interface tools, understand measurement and scale and perspective. 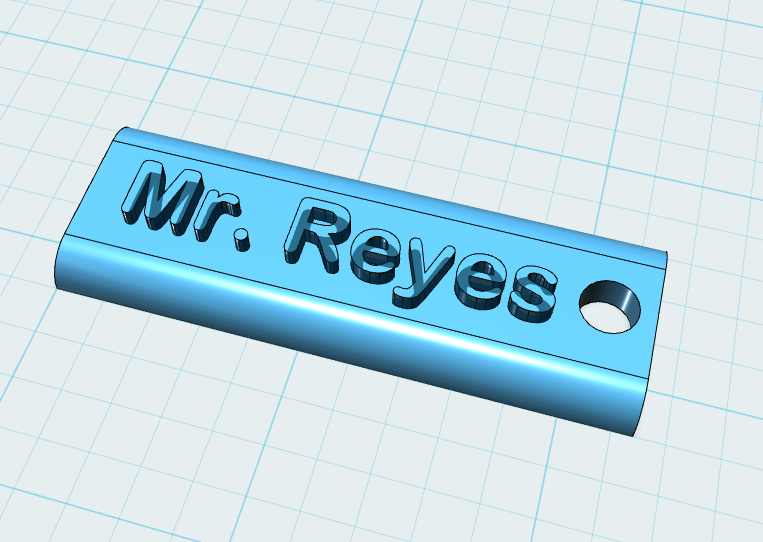 When possible students will transfer design for use with a 3D printer. Design a Character Head - Use 123d Design to create a head from all the shape choices. This will give you practice with all the settings to combine and resize shapes, as well as working with color and textures. *All shapes should be merged. Design a name tag. Using skills you learned previously design any kind of name tag. The objective is to learn you to add text to shapes as well as include a hole for a string or chain. *Should be at least 50 mm long. * Thickness should be between 3 mm - 4 mm. *Name tag should have a hole approx. 4mm wide. Design a Coin - Imagine you have your own country, design your own coin. First look at examples of a coin to see what designs have in them. Please take notice of special symbols that appear on many coins. Symbols have special meanings. Or, if you are studying an ancient civilization, try to replicate an ancient coin. Thickness should be .30 cm or 3 mm. Design a Whistle - After studying about the physics of sound as well as how a flute is able to make sound, design a small toy whistle. Your whistle should be at least approx. 60 mm long with a diameter of at approx. 16 mm. The thickness of the cylinder wall should be no thicker than 2 mm. What will this propeller be used for? What environment it will be exposed to. 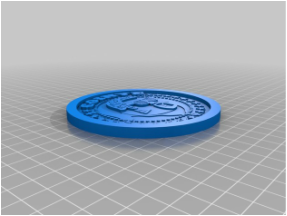 Design a Game Piece - Use 123d to design a game piece for a simple game like Snakes and Ladders. Make your piece unique. Your game piece should have curves as well as straight lines. Be artistic but remember that it is for a simple board game. No larger than 3 cm tall and no wider than 1.5 cm at the base. 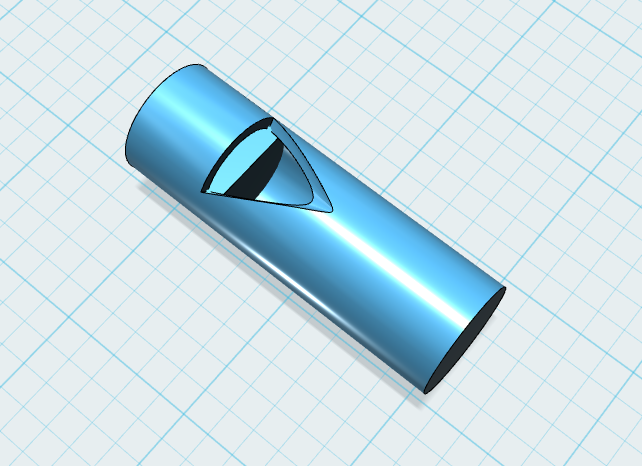 Design a Die for your game - Use 123d to design a die for your game. You may want to research different types of dice in case you want to be unique. Or you can create a traditional design. You may want to review any tutorials on the tutorial page. Follow the tutorial button. Dimensions should be no larger than 2 cm all around. Design a Purse - Backpack Hangar - Use 123d to design a purse hangar or backpack hook. Follow the tutorials on this project from the tutorial button. Above. 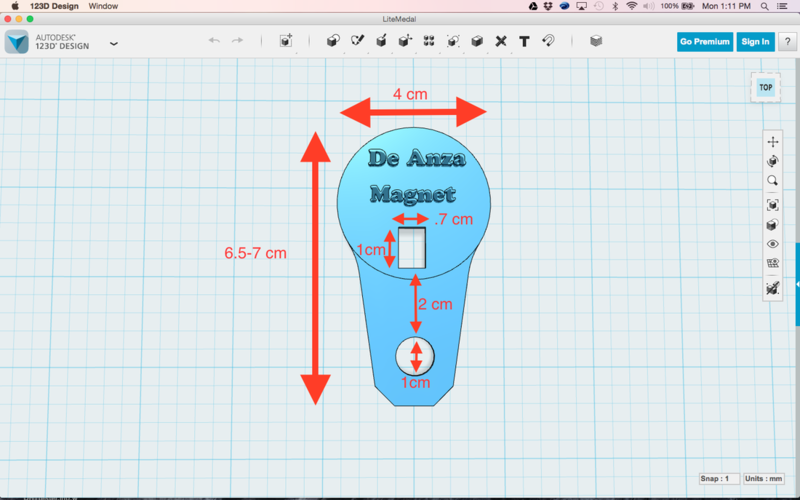 Design a Light Medal - Use 123D and Follow the measurement instructions below. You can put your name on it or the name of our school. You will need to use Sketch Circle tool, Polyline tool and Press/Pull or Extrude tool for thickness. Watch the tutorials on how to use the Polyline tools. You can also use Fillet and Chamfer tools to round edges if you want to. Once done, ask Mr. Reyes for an LED light bulb and a 3 volt battery and tape. Insert battery in round hole and LED in rectangular hole with one leg on either side. Pinch the legs so that one side touches positive on the battery and the other touches negative. The light should light up.